And the octogenarian who has held on to its memories for almost 80 years. 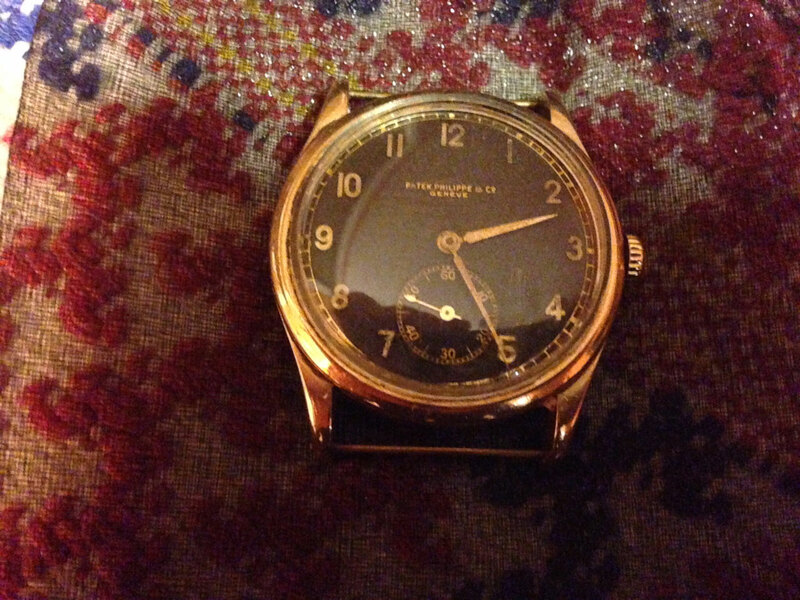 Some time ago I received an email from a gentleman explaining his family had a Patek Philippe that once belonged to his grandfather, which they might want to sell. Eventually I got in touch with the gentleman’s 80-year old mother, Mrs M. The stereotypical story of a little old lady with valuable heirloom – well, this was it, and then some. The watch turned out to be a Patek Philippe Calatrava ref. 530 in 14k yellow gold. 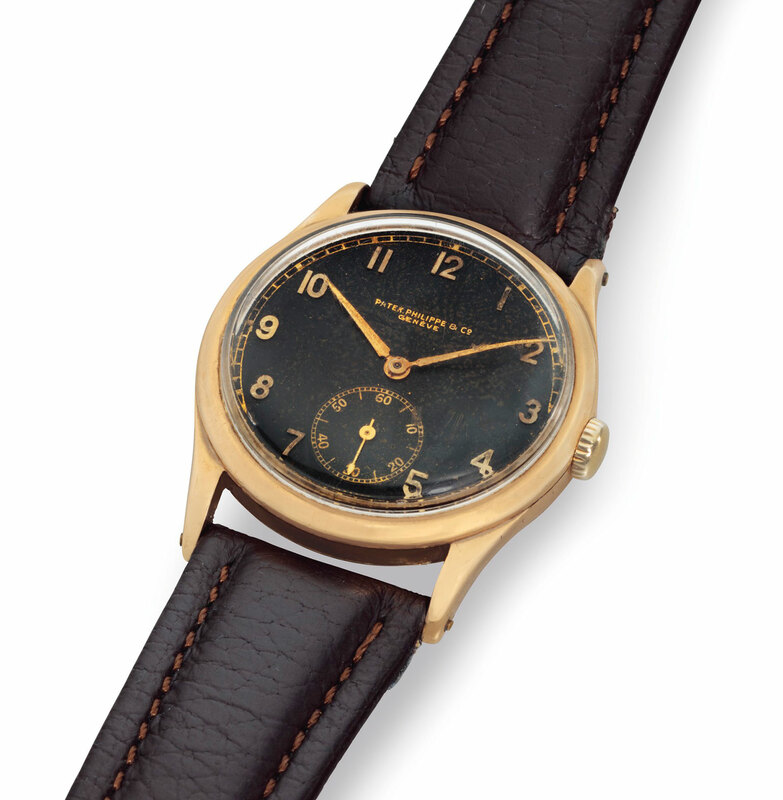 A rare model, particularly in 14k gold, and desirable because of its largish 36.5mm case, the watch also had a black dial that was confirmed by the archive extract, making it one of just a few known. Prime examples have sold in the past for over US$100,000, with one topping US$300,000. During my email correspondence with Mrs M, I made the offhand remark that the watch showed some wear, rendering it quite a bit less valuable than a pristine example. She replied that was indeed true, but the condition was a result of the watch having, in essence, survived the Holocaust. That left me feeling guilty for critiquing the condition. Mrs M’s father had handed the watch to her mother moments before he was taken away by the Gestapo and sent to Auschwitz. Her mother never saw him again, but wore the watch every day for the rest of her life. The sheer magnitude of that left a vast impression on me. All vintage watches possess some sort of memory, invisibly etched into the metal, but few can convey the incredible tale of love, loss, and hope that this wristwatch does. While there exist more valuable watches with more glamorous backstories, this Patek Philippe ref. 530 has a history and provenance worth recounting in detail. While the tale is unhappy, it is ultimately uplifting, ending as a story of survival and hope. 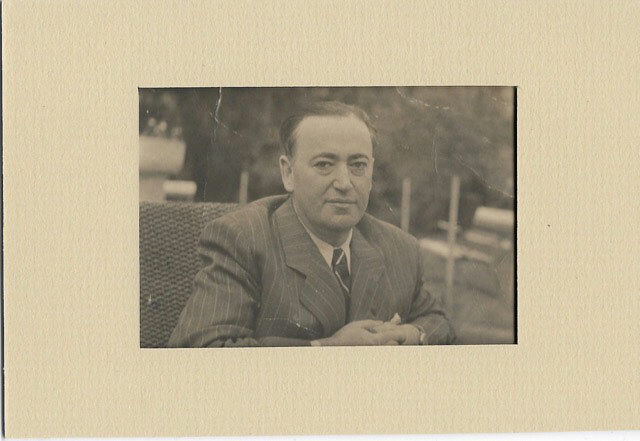 Mrs M’s father was Jeno Gertler, born in 1903 to a prosperous Jewish Hungarian family that produced many prominent members in the arts and commerce. A cousin, Andre Gertler, was a renowned classical violinist (with his own Wikipedia entry), while another cousin, Viktor, was a noted film director (and is also on Wikipedia). Though he was born in a small town, Jeno moved to Budapest to study law. He became a successful attorney, while also going into the motion picture business with his cousin Viktor. The duo distributed foreign and Hungarian films, both locally and in other European countries. And Jeno also owned three movie theatres in Budapest, named Alpha, Astoria and Universal, a reminder that once upon a time going to see a film was a glamorous enough activity that every cinema deserved its own name. Jeno, in short, was an affluent and cultivated man – Mrs M describes her father as a “social man of refined taste” – the very sort who would buy a Patek Philippe wristwatch. And so he did, in 1941. But Jeno did not buy just any Patek Philippe, but instead an oversized wristwatch with a black dial, the polar opposite of the 30mm, silver dial Calatravas that were most common at the time. He did have good taste. A decade before he bought the Patek, Jeno had married Mrs M’s mother, Klara Fischer. Like Jeno, Klara hailed from a well-off family, with her grandfather having founded a cosmetics manufacturer, Compexa, as well as owning several pharmacies as well as a large mansion in the city. The pair had met while playing tennis – both were ardent tennis players who won several prizes – living a warm and wonderful life in pre-war Budapest. 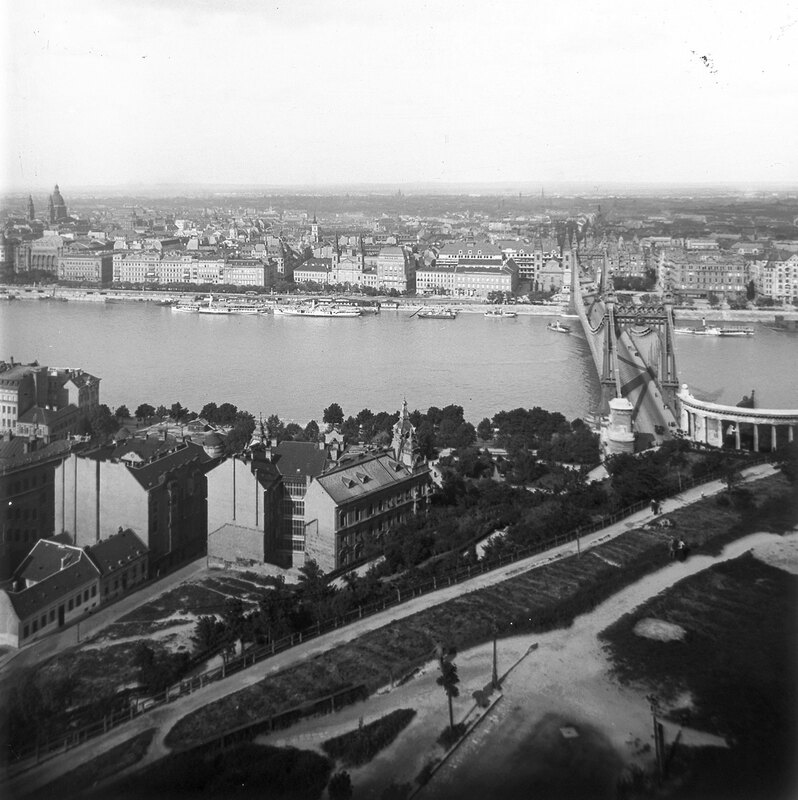 A favourite haunt was the New York Kávéház, or New York Cafe, an swanky coffeehouse in Budapest that Mrs M describes as a “sophisticated meeting place of professionals, intellectuals, poets, writers and artists”. Mrs M adds that the cafe has since been restored to its original glory, leaving it looking much like it would have been when her parents and their friends socialised there. The Gertlers had two children, Mrs M and her brother, and together the family led their lives in an upscale neighbourhood – residing in an apartment at Gróf Teleki Pal Utica 21, an address named after a Hungarian noble (Grof translates as “Count”) that was given a more appropriately Communist name after the war. Mrs M recounts an early life with vacations to lakes and mountains, along with days of piano and ballet lessons, while being attended to by nannies and doted on by grandparents. 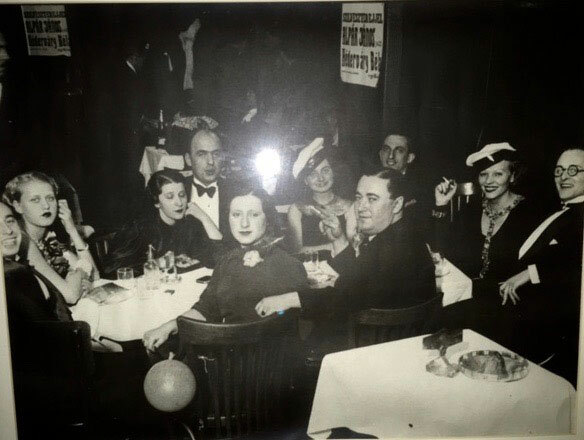 Jeno and Klara Gertler (centre), celebrating New Year’s Eve in 1941 at the New York Cafe in Budapest. To the far right is Jeno’s cousin, Viktor. Life became difficult during the Second World War, with Hungary entering on the side of the Axis Powers, but remained tolerable. That changed in 1944, when the Hungarian government started secret negotiations with the Allies, hoping to switch sides. In response, German troops marched into Hungary and toppled the government, replacing it with a pro-Nazi Fascist regime that began rounding up Jews and confiscating their assets. The Gertler’s homes and theatres were taken. In late 1944, Jeno was detained by the Gestapo. Just before he was taken away, Jeno gave Klara his Patek Philippe for safekeeping, perhaps hoping he might one day retrieve it. Hours after her husband’s arrest, realising the gravity of the situation, Klara took her two young children – Mrs M was just seven then – along with a handful of possessions, the Patek Philippe amongst them, and fled. The trio were helped and hidden by friends and Catholics nuns along the way, and managed to survive the war. In 1947, with Hungary under Communist rule, Klara and her children boarded a train, ostensibly headed to the Budapest countryside. Instead they were destined for Paris – the plan was to obtain and visa to South America, where an uncle would provide them safe harbour. There was nothing left for them in Budapest. The plan almost came undone at the border, which was manned by Russian troops who stopped Klara and the children, ordering they turn back. Klara pled and cried and pled again, and the soldiers relented. The family made it, and eventually moved to the United States. Jeno never returned from Auschwitz, but Klara had his watch on her wrist every day for the rest of her life. She passed away in 1976 in Washington DC. Mrs M has consigned the Patek Philippe to Christie’s, which will offer the watch in its upcoming New York watch auction that takes place on December 7 at 20 Rockefeller Center. The watch is lot 40 and estimated at US$100,000 to US$200,000, and you can see it online here. The Calatrava, along with the other lots in the catalogue, can be seen in person during the preview exhibition that’s open daily from December 3 to 6.